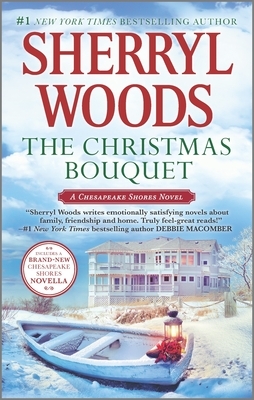 When it comes to family and Christmas, #1 New York Times bestselling author Sherryl Woods always looks to the O'Briens for a little holiday magic. For the very driven medical student Caitlyn Winters, catching the bridal bouquet at a Christmas wedding has set off a chain reaction that she's sure is more curse than blessing. Not only has she fallen in love with family medicine resident Noah McIlroy, but an unexpected pregnancy threatens her well-laid plans for the future. It doesn't help that Noah--with a whole lot of help from Caitlyn's O'Brien relatives--is completely on board with the prospect of marriage and happily-ever-after. It takes a whole lot of patience, love and family persuasion to help Caitlyn realize that she can still have everything she ever wanted, including a home in her beloved Chesapeake Shores and a man who understands all her dreams.